Ottawa’s downtown came to a standstill on Thursday as the capital paused to remember the Parliament Hill shooting that made headlines around the world a year ago. Soldiers, dignitaries, police officers, first responders and politicians of all parties joined members of the public to gather at the War Memorial and honour Cpl. Nathan Cirillo, who was shot three times in the back and killed by a lone gunman while on guard at the memorial. Also remembered was Warrant Officer Patrice Vincent, a member of the Canadian Forces who was fatally injured in a deliberate hit-and-run incident in Saint-Jean-sur-Richelieu, Que., only two days prior to the Ottawa attack. 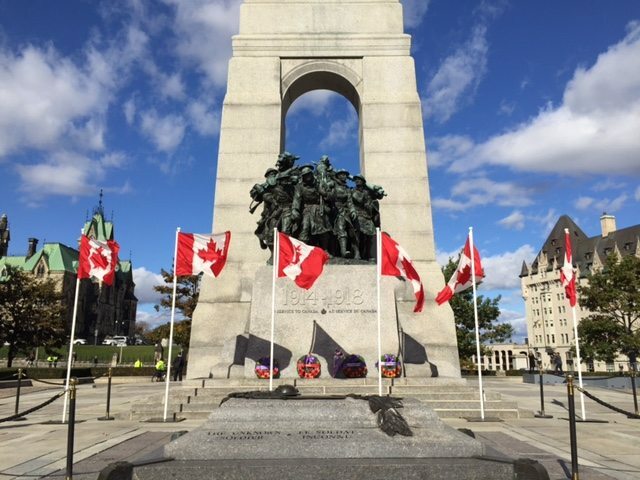 Family members of both Cirillo and Vincent made the journey to Ottawa to attend the service. Prime Minister designate Justin Trudeau and his wife, Sophie Grégoire, also attended the ceremony, along with Ottawa Mayor Jim Watson. And in a rare moment of unity, Harper and Trudeau joined together to lay a wreath, putting aside politics to honour the sacrifice of Vincent and Cirillo. 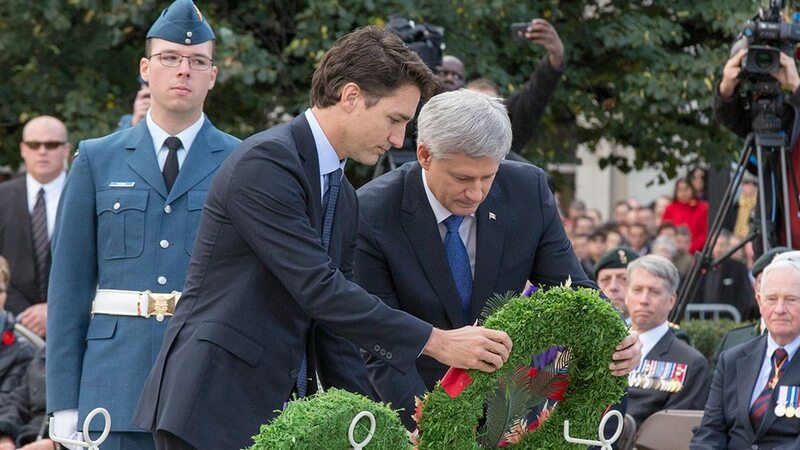 Prime Minister Stephen Harper and Justin Trudeau, Prime Minister-Designate of Canada, lay a wreath in honour of Corporal Nathan Cirillo and Warrant Officer Patrice Vincent during a ceremonial service to commemorate the events of October 2014. PMO photo by Deb Ransom.